The Great Pyramid of Giza, also called the Pyramid of Khufu and the Pyramid of Cheops, was constructed some 4,500 years ago. But this amazing monument continues to fascinate the world with its mysteries even after thousands of years. Now, researchers have discovered a protective mechanism used by Ancient Egyptians to guard the king’s chamber inside the Great Pyramid of Giza from tomb raiders. According to Egyptologist Mark Lehner, a series of grooves were installed just outside King Khufu’s burial chamber in the Great Pyramid. The king’s burial chamber is protected by thick walls, but the path is quite vulnerable. So, builders designed a line of defense by carving a series of grooves fitted with massive granite slabs to direct the slabs towards the entrance, blocking the path to the chamber if tomb raiders managed to get close to it. Researchers had knowledge of this mechanism earlier, but as Mark Lehner explains, it only recently was digitally reconstructed for the purposes of a documentary. The documentary explains how the granite blocks were dropped down the grooves once the pharaoh was buried, and how his burial chamber was sealed. But since the mummy of Pharaoh Khufu was never found inside the chamber, some archaeologists question what this mechanism was actually protecting. They think that the burial chamber is a decoy and the real one still remains a secret. 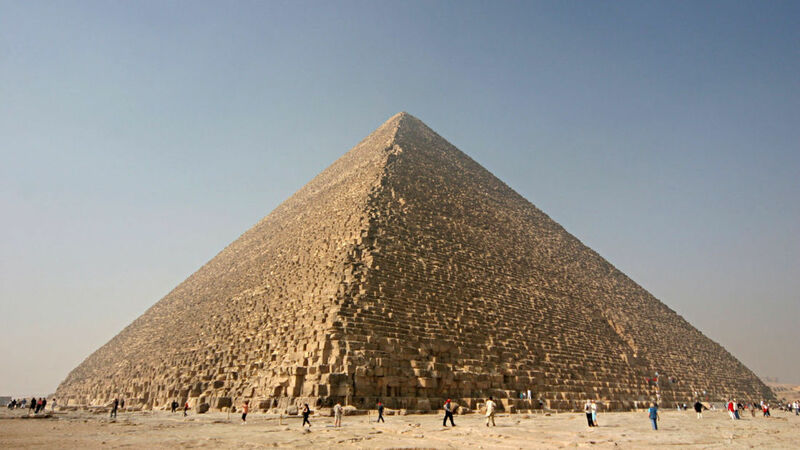 To unearth any undiscovered chambers, scientists are now using cosmic rays to map the interior of the pyramid. NASA’s Greased Lightning UAV Transitions From Chopper to Airplane for the First Time!